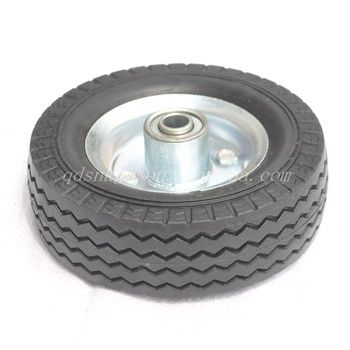 1)Solid polyurethane wheels are widly used for wheelbarrow,lawn cart,hand trolley,etc. 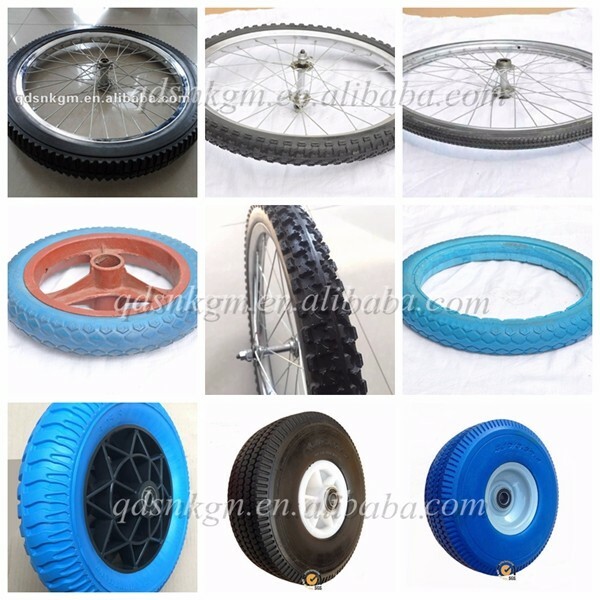 We promise to suply you with high quality solid wheels,and also OEM service for different colors pu foam wheel for any size. 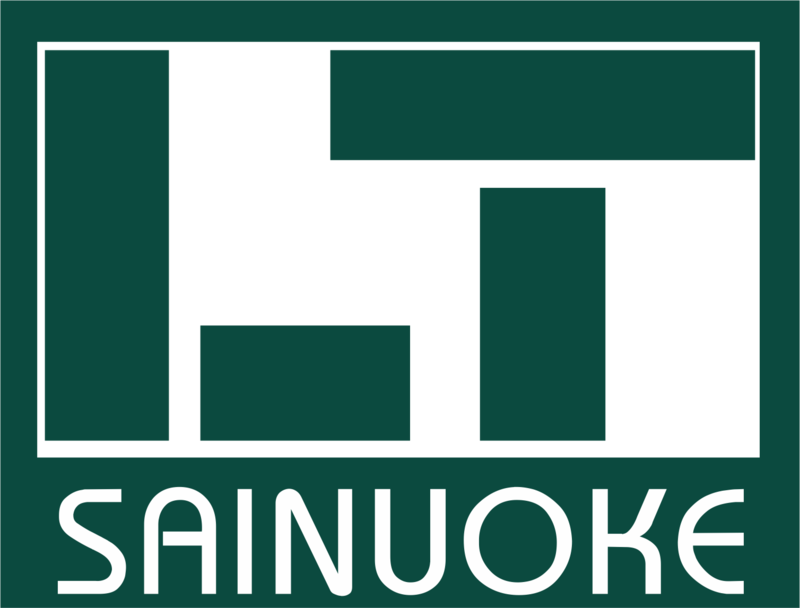 If you are interested in our products,please lease don't hestate to let us know. We are sincerely looking foward to hearing from you. 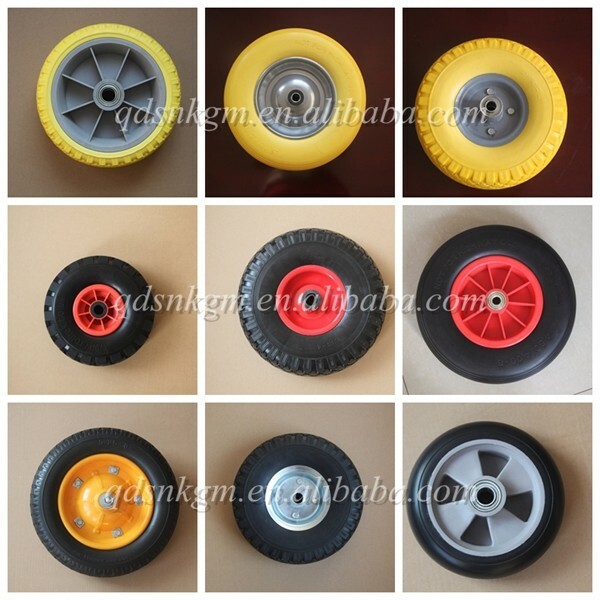 6" 7" 8" 10" 12" 13" 14" 16" 18" 20" 24" 26" 48" 50" 52" 56"
We are a 14-year professioanl manufacturer in producing PU foam wheel and PU foam parts. 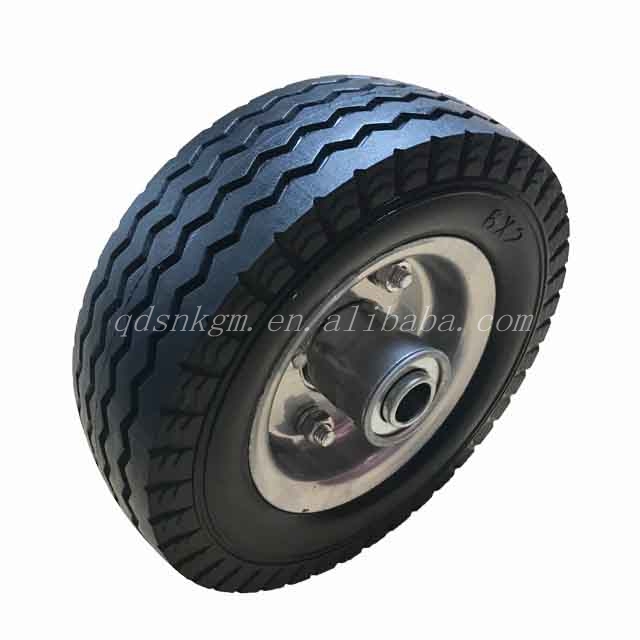 Our products are of good and stably quality. 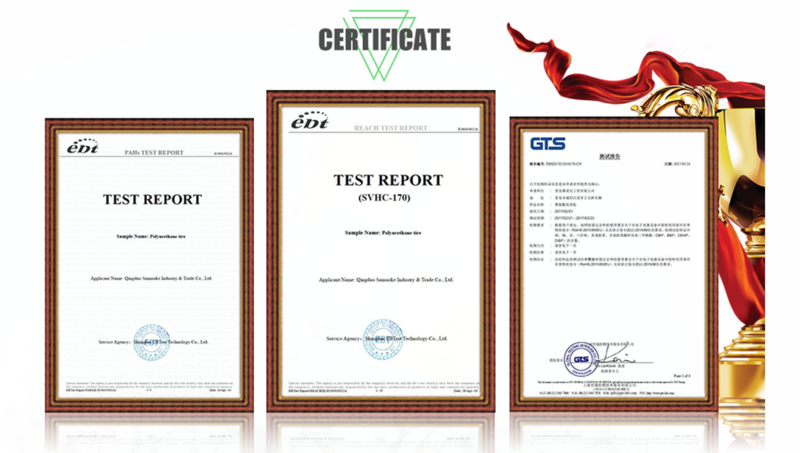 Our products have passed REACH,ROHS,SVHC,PAHS test. 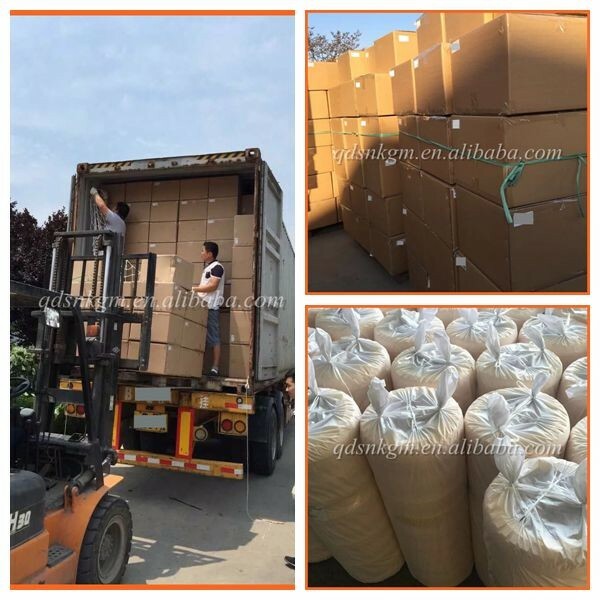 We can produce any PU foam products you design. We can design what you need. 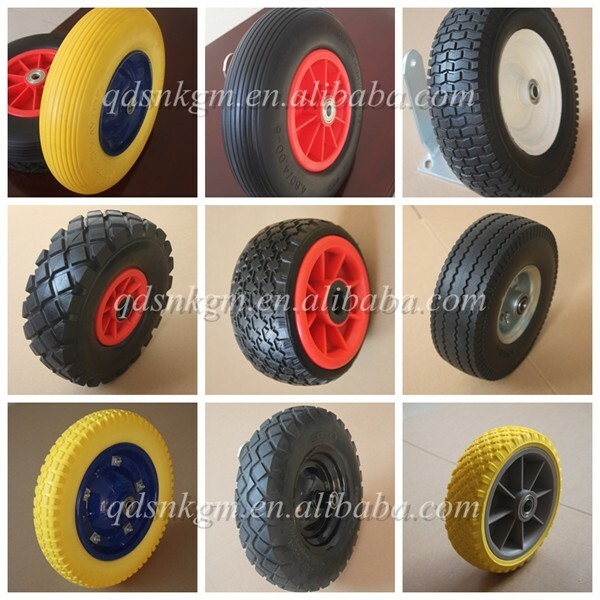 We have 14 years professinal pu foam wheel production experience. We promise to provide you timely communication sevice and stable product quality. Your email will be replied in 24 hours! 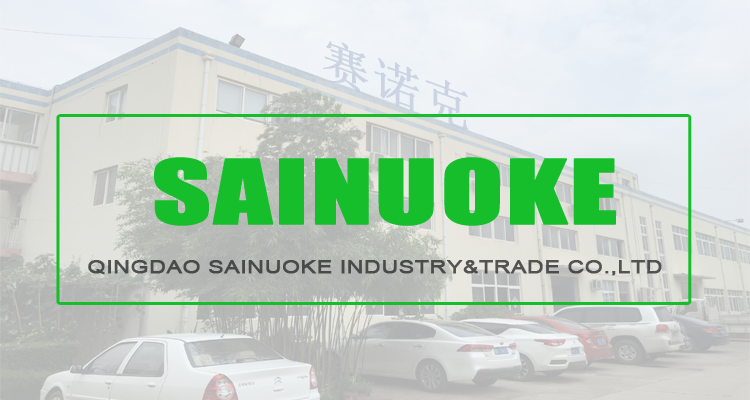 If you need any more information,please send us enquiry at anytime.